Do you already have an existing Merchant Service Provider? Then you will need to make sure your Merchant Service Provider works with one of the gateways that are integrated with LAVU. Do you need a Merchant Service Provider? Finland Technology Solutions recommends using Mercury Payment Systems or Heartland Payment Processing. Mercury & Heartland can act as your Merchant Service Provider and Payment Gateway. It’s an all-in-one service; there is no need for multiple providers and gateways. Mercury and Heartland also suggest using the Infinea Tab or Epson integrated USB swiper solutions. We have also found their support to be exceptional, and their fees to be more than competitive. To accept credit card payments and to integrate with POS LAVU, you are going to need a credit card swipe and a payment gateway. Mercury Payment Systems is one of Lavu's preferred Credit Card Processor and Merchant Service Providers. Why is Mercury integrated payments right for your business? Epson TM-T88V-i OmniLink smart printer and USB credit card swiper integration for more reliable credit card swiping. 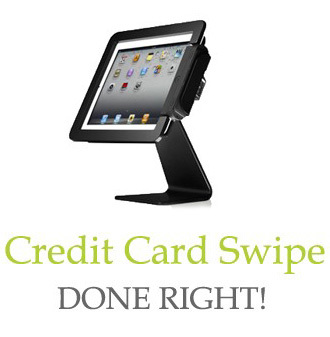 Infinite Peripherals Infinea Tab Integration for reliable mobile card swiping directly from the iPad. Gift card integration, and no gift card transaction fees. Finland Technology Solutions can help you get fast, reliable, and secure transactions with MercuryPay®, Mercury’s award-winning payment processing. Accept the most common payment types and card brands, and enjoy high reliability, speedy funding, promotional payment options, and instant transaction viewing. Unlike other processors that lock you into a particular payment solution, Mercury processing is already built into your choice of POS system that best meets your needs. MercuryPay supports stand in authorization to provide continuous transaction approvals even if the authorization network fails (certain restrictions and limits apply; not available in Canada). Find out how Finland Technology Solutions can help your Point of Sale activities - talk to the team at Finland Technology Solutions about our solutions today! Heartland Payment Systems is one of Lavu's preferred Credit Card Processor and Merchant Service Providers. Why is Heartland Payment Systems right for your business?